Research in Motion may be working on integrating video calling to its popular BlackBerry Messenger service. According to industry speculation, the next version of the company's mobile operating system, named BB10, is likely to support video calling via its secure messaging service, just like Apple's FaceTime, Android's Google+ Hangout and Microsoft's Skype. 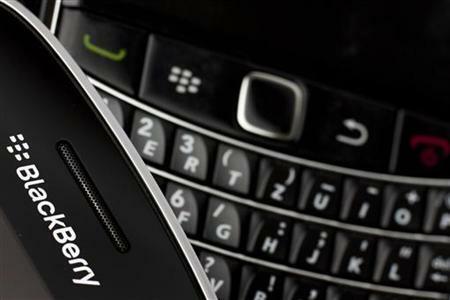 RIM has already said it would be enhancing the communication suite of BBM by adding voice calling. However, a RIM executive recently told tech blog The Next Web that 'something else' is also on the horizon. Could video be that 'something'? In the BlackBerry 10 Dev Alpha update released by RIM, reviewers at CrackBerry had chanced upon a folder titled bbm_video in the notifications section. This folder contained a ringtone by the name of video_chat.m4a, same as the tone used in video chat on RIM's PlayBook tablet. Though there is no official confirmation, it is likely that such new features will be included in BB10, which is RIM's last shot at succeeding in the smartphone market. The company has lost a lot of market share since the first iPhone was launched, but is still praised for its BBM application. It has recently been dumped by Yahoo as well as several US government agencies in favour of iPhone and Android devices. RIM delayed the launch of BB10 operating system as it seemingly did not want to release a half-baked product in the market and drive away customers. Many consider BB10 to be the company's last hope of regaining the lost market share.